Our classic monogrammed notecard set make a perfect personalised Christmas gift, or stylish and useful purchase for yourself. 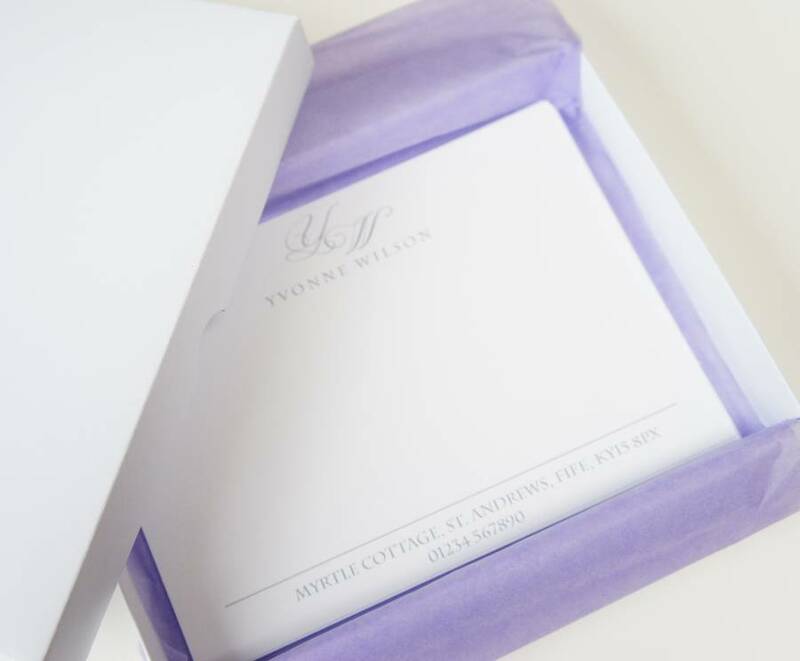 Our monogrammed notecards are A6 (like a postcard) in size and come personalised with your initials, full name, address and telephone number, printed in classic, soft grey. With 10 notecards in the set, they are a classic way to drop a note to say thanks, or just to say hello. 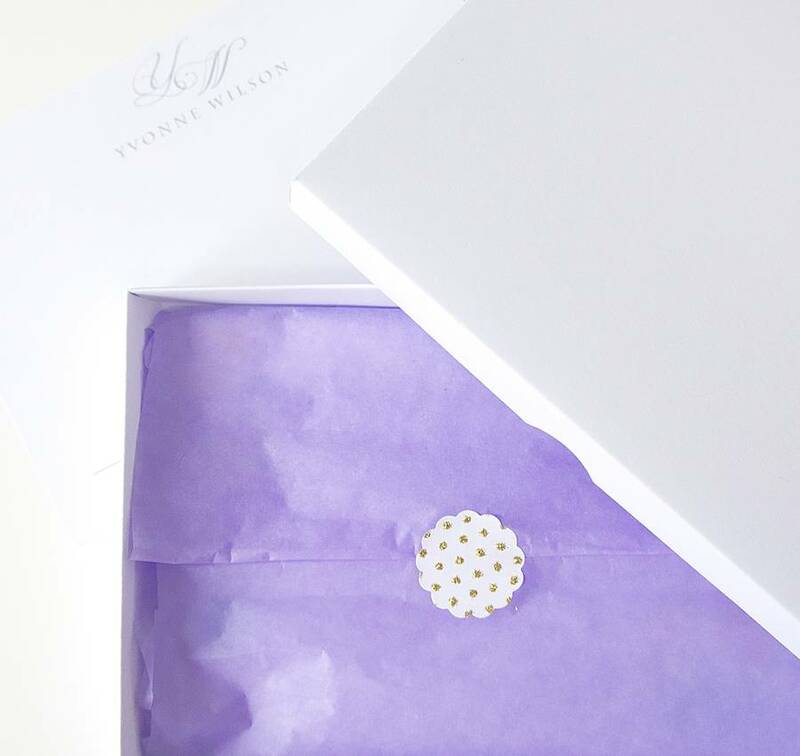 Each set comes wrapped in tissue paper, nestled inside a white box. 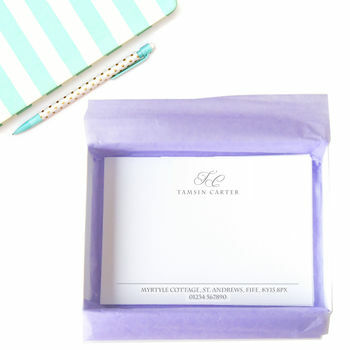 Our classic monogrammed notecards are personalised with the your initials, name, address and telephone number. Please add the details opposite. We will copy and paste from the information you provide, so please check it carefully! All orders are dispatched via Royal Mail standard First or Second Class Delivery. This is not a guaranteed service, and the delivery dates shown are an estimation and should not be taken as a Guaranteed date of delivery. This product is dispatched to you by Rock, Paper, Stars.